Introducing Evolution Aqua Switch Boxes, an innovative range of external switch boxes ideal for controlling all types of electrical garden products. Evolution Aqua’s range of Matsuko external switch boxes are ideal for controlling all types of electrical garden products. They allow a high level of flexibility and ease when it comes to controlling more than one appliance. For instance, you can easily have up to 5 appliances plugged in and controlled by the Evolution Aqua Switchbox at any one time. 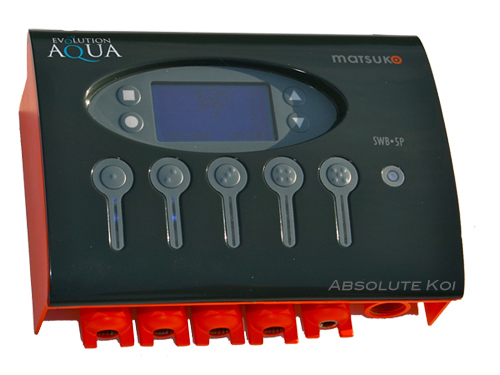 Line 1 of every Evolution Aqua Matsuko switchbox with PumpGuardTM is set to automatically “learn” how the first pump that is connected to it behaves in normal use.